Every year, the first Saturday of November is designated “Teach a Friend to Homebrew Day”, by the American Homebrewer’s Association. This year Neil Saund is once again hosting a brew event at his home in Del Rey. The event is a single brew all grain event, and is a great opportunity for new members who want to move up from extract to all grain brewing. Snacks will be served. See the club calendar, posted earlier today by club Prez, Craig Corley for a map link to Neil’s house. First Friday At BottleRock, Downtown L.A. This coming Friday, Nov. we will be going to BottleRock in downtown Los Angeles. We have usually had Sunday events at the Culver City branch, but if you havent been to the downtown incarnation, you’ve missed a very good drinking venue. They have more taps (see their website for menu) than C.C., and more food. It’s easy to get to, and is near the Staples Center and Nokia Theater. They have a new manager, Corwin, so be sure to introduce yourselves when you arrive. http://pacificgravity.com/wp-content/uploads/2015/01/pg_logo.png 0 0 Brian Holter http://pacificgravity.com/wp-content/uploads/2015/01/pg_logo.png Brian Holter2009-11-02 23:51:122009-11-02 23:51:12First Friday At BottleRock, Downtown L.A.
Well, better late than never, I say. Your humble servant had an attack of the lazies and has neglected to write an article about the Chili Cokoff until now. On September 26 Eric Moreau hosted the PG Annual Chili Competition and Big Brew. Eric and his loyal fellow brewer Chris “Cosmo” Briles brewed 10 gallons of Saison. with help from about 20 drinkers/observers. being pre-chilled, was graqciously shared by all. Current PG Treasurer, Peggy Robinson, won a Malheur Brut for making the “Most Unique” chili. In addition to all the above, Tom Rierson made a tortilla and salsa verde side dish, worthy of the great chili being eaten. Eric’s mom made cupcakes, and we ate like piggies. To all those who weren’t there, be sure to come next year. To those who weren’t successful in dethroning Ian, Including me, better luck next time. This just in! Photographic evidence that in contrast to popular belief; Pacific Gravity member formerly known as Martin Svab is in fact still alive and well! See it to believe it: gentleman-scholar.com/. http://pacificgravity.com/wp-content/uploads/2015/01/pg_logo.png 0 0 Brian Holter http://pacificgravity.com/wp-content/uploads/2015/01/pg_logo.png Brian Holter2009-10-26 15:01:392009-10-26 15:01:39He's Alive! The October club meeting will be on Thursday, October 15th from 7:30 p.m. to 10:30 p.m. at Culver City Home Brewing Supply. We’ll be featuring All Lagers as our style of the month and as always; we’ll have some homebrewed examples on tap to complement our monthly commercial style tasting (volunteer kegs are welcome). Carl Townsend will be guiding us on a tour of Lagers for our style tasting. Please remember to bring some of your homebrew to share with us. While you’re at it, bring some of your friends and maybe some new members. As always we’ll be giving away lots of club swag and beer/brewing related goodies (donations welcome) in our monthly raffle. The October meeting marks the beginning of our annual election season. We’ll be accepting nominations for the elected positions of the 2010 Club Board (President, Vice President and Treasurer) with the election to be held at our November meeting. The remaining board positions are appointed and we’ll be recruiting club members to fill those positions as well. We’ll also be accepting nominations for the 2009 Club Member of the Year award, which recognizes and honors significant contributions and involvement by club members. Elections for this prestigious award will also be held at the November meeting with the winner being announced at our annual Holiday Party in December. We’re planning on having the new club tee shirts with our new club logo on hand and will be selling them for $15 each. If you pre-ordered a shirt we’ll have yours set aside for you to pick up and if not, we’ll have extras available, but you’ll probably want to pick one up before we run out of your favorite size/style. Fall is here and its time for our annual elections for the Club’s Board of Directors. We’ll be accepting nominations for the 2010 Club Board at the October club meeting and will hold an election at our November club meeting. Club President, Craig Corley has decided its time to take a break from running the club, so we’ll be selecting his replacement. And depending on his replacement (we have a few who have expressed interest), we’ll have a couple of other positions to fill as well. The rest of the current club board members have expressed an interest in serving for another year. Beyond the open board position(s) we need to fill, we’re always looking for new members to get involved. To make it easy for club members to get involved, we have part-time positions as well as the full-time positions. The full time board includes the elected officers (President, Vice President and Treasurer) and the appointed officers (Competition Coordinator and Activities Director). The part time positions include the Webmaster, Publisher, Club Chef, Fund Raiser, Ladies Events Coordinator, Road Trip Coordinator, Style Tasting Coordinator, So. Cal Home Brew Festival Coordinator and more. The part time positions tend to focus on one event or task and do not require regular attendance at the board meetings. We’ll even tailor part time positions to utilize the skills set of anyone who volunteers. If you’re interested in the joining the club board, contact Craig Corley at [email protected]. Entries for California State Homebrew Competition will be due at the Culver City Homebrew Supply Company shop on October 11th. Since there is no local pick-up for this competition, you must have all your entries packaged up for shipping by UPS. This means plenty of bubble wrap and strong cardboard boxes. Wine boxes work well, since the extra space allows plenty of padding for your 12 ounce bottles. Entries that are not packed for shipping will not be sent. The club will pick up the cost of shipping, but you are on your own for entry fees. Forms and all the rules can be found at http://www.nchfinfo.org/StateComp/StateComp.html. Note that the categories have a rather unique structure, so don’t try to make them fit the BJCP styleguide. 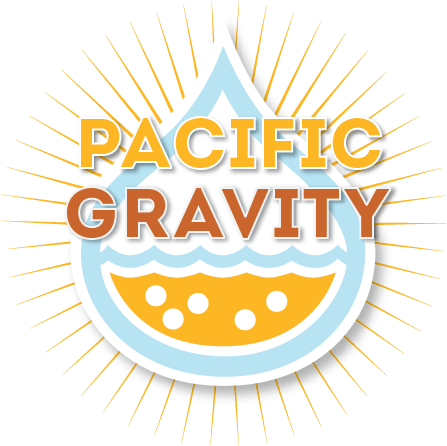 This is the final open competition for both Pacific Gravity’s Brewer of the Year Award and the California State Brewclub of the Year Award, so give it your best shot. In addition we still have one remaining Club-Only Competition, this time for Belgian Strong Ales, BJCP Category 18. We will judge these at the November Club meeting on November 19th. Please bring 3 bottles for each entry, and please fill out the entry forms which you can download from the AHA website at: http://www.beertown.org/homebrewing/pdf/entry_recipe.pdf. The club picks up the entry fees and shipping for this one, so it is free to you. Results of Pacific Brewer’s Cup have been announced. Our very own Ian Fraser picked up Best of Show for his Humulus Bruin Brown Ale. Way to go Ian! We had a total of nine entrants scoring 15 ribbons. See all the winners below. Strand Brewers will be holding their awards ceremony at their club meeting October 14th at Naja’s Place, 154 International Boardwalk in Redondo Beach. All entrants are welcome to attend. Get those brewkettles going and don’t stop until the 2009 Brewer of the Year has been announced. If you need still more competitions, you can find the whole list at http://www.beertown.org/homebrewing/calendar/events.aspx. Most of the homebrew club’s old-timers, longtime members and veteran drunks, for one rea$on or another, sat out the annual bus trip down to Stone Brewing’s (13th) Anniversary Celebration and Invitational Beer Festival on the campus of Cal State San Marcos on Saturday, August 22. So new club members and first-time Stone Fest’ers comprised the lion’s share of the 28 of us who took the excursion. And they were not disappointed. The bus had ample AC, a working bathroom (although its light was out during the first leg of the trip, making for some interesting maneuvers and challenges at aiming), and the good homebrew and commercial beers flowed. The weather forecast seemed a bit dodgy, and we even hit some rainy drizzle en route down. But by the time we had checked in and were lined up waiting for the gates to open at 11:00 a.m., the clouds parted, the sun came out, and the heat came on with a vengeance. It was brutal. Many of the beer booths even had sunscreen for the thirsty throngs who arrived without protection. How bad was it? The lines for the (eventually warm) rinse water were longer than they were for many of the beer tents. That said, the site was much less crowded than last year (the first at this location), with the beer booths more spread out and staggered into different areas. And yes, there were long lines, but they mostly moved quickly. The queues for Avery Brewing and Maui Brewing seemed always to be lengthy.